You’ve made it through the religious holidays of the season, and you’re ready to get your party on for that one holiday that will never be politically incorrect. The one you can wish everyone a happy night with, and one that continues to provide well wishes long into next month. Saying “Happy New Year”, whether tonight at midnight or throughout January, will always be met with good tidings. Get some cash….but not too much. It’s common “Grandmotherly” advice to say you should always carry a $20 bill in case of emergencies. Tonight, make it $80. That will assure you’ll be able to call a cab or get bus fare if needed, or fill up a gas tank in cases of emergency. So make sure you grab some cash. But be careful, too. Too much cash makes you a target. Please, for god’s sake, wear comfortable shoes! My husband can tell you that the #1 thing in the world that grosses me out is women (usually drink) carrying a pair of heels and walking barefoot on the street. SO GROSS! So for the love of everything that is holy, please ladies, wear shoes you can stand in all night or invest in a pair of those foldable flats so you don’t get some kind of street disease. Ick! Safety first, and that means a plan. If you’re going out with five girlfriends, make a plan to go home with five girlfriends, too. If any of you wants to leave early, go with a buddy or check in via text. Nights like New Year’s Eve bring out people ready to prey on people who’ve had one too many glasses of champagne. Put safety first, and the best way to do that is to agree to a plan and stick to it. Wash your face. I’m guilty of this myself, but there’s nothing more sad than waking up with a face full of smudged makeup. So throw some makeup wipes in your purse and be sure to take off the face full before you sleep. You’ll thank yourself in the morning. Pick up breakfast now. One more thing you’ll thank yourself for in the morning. Pre-plan breakfast! Let’s not mince words. You might be hung over. It’s OK. So go, have fun, Career Girls! 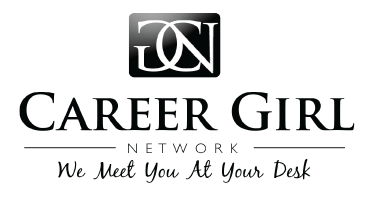 But remember, even if you put on your party girl hat tonight, you’re still a Career Girl! Be one….everywhere you go!